Safety doesn't have to come at the cost of comfort. These men's jeans hold up to NFPA 2112 and NFPA 70E standards while keeping you comfortable long beyond clock-out. They're made of FR denim with enough flex to bend, stretch, and move. The straight traditional fit is the slimmest cut we offer, and the leg opening fits over most boots. Machine wash warm Max 165F/74C. Do not bleach. Do not use hydrogen perox ide. Tumble dry medium. Warm iron. Do not use fabric softeners. Do not s tarch. May be dry cleaned. I am a welder so I needed some work pants that would hold up in tough environments. I got these thinking they could handle the spatter and sparks that get thrown at me. However these pants got a hole in them within a week. And it wasn’t even from welding. I was using a cut off wheel and the sparks from that started burning a hole in my pants. Thankfully I caught it before things got bad but these pants are definitely not flame resistant and they definitely are not tough enough for a work environment. Great fit and look. I have bought these before and they are durable and comfortable. The FR rated work jeans I purchased through Carhatt are comfortable and fit well. I will be purchasing more in the future. They look great and feel sturdy, but definitely run a bit small. Took a good two weeks to break them in. I expected carharrts to run too large if anything, but that was not the case. For some reason this pair is a little longer than the other two pair I ordered before, even if the labels are the same. Other than that, it seems all good. We appreciate this input. Please contact us at 1 800 833 3118 if you need further assistance. Great fit and most importantly, comfortable. 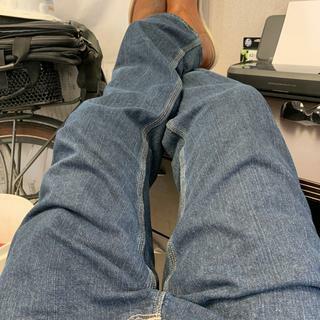 I absolutely love the jeans they fit perfect there super comfortable to work in all in all I would recommend them to anyone!! I have had these pants for 3 months and wash once a week and they still maintain the deep indigo color. They get softer with each wash fit is good. I am ordering 2 more pairs. I am an Inspector for a utility in California. Thank you Carhart! I like these jeans they are a little tight but not uncomfortable. The color is nice. Good resistance to spark and spatter. the best FR jeans there is. I really liked the style and the color. I have a lot of their fr gear but these were my favorite pants. They were comfy so I bought two pairs but both ripped in the crotch so I wouldn’t recommend them. As a welder for a gas company finding good fr jeans to hold up to the job is hard. These are some of the best l have found ever. l definitely will buy these again and will recommend to anyone who is a little slimmer these jeans would be perfect for them! Very comfortable jeans. I will be purchasing more very soon! Very affordable and great quality.. Most comfortable pair of jeans I own! I was excited when I found out my favorite brand of work wear made these jeans in a slim fit. I've never been more comfortable at work. Definitely going to buy at least three or four more pairs! Too tight through the calf area. Nice comfortable jeans. Only complaint is they are too tight through the calf area. These would be a 5 star in my opinion if you could make that area similar to a boot cut jean and not so tapered. We have reached out to the customer. Please note, the straight/traditional fit is the slimmest cut we offer for men. Relaxed and loose/original fits will offer more room. Happy with the jean although it fit too tight Looking into sending old pair back and having exchanged for a larger size. Fit great around the waist but hung lower than I like. Very tight in the crotch and the thru the thighs. When it got hot out they were very uncomfortable. Carhartt has reached out to the customer regarding the review. The Straight-Traditional Fit is the snuggest cut in men's jeans. These are the best fitting most comfortable FR jeans I have been able to find. They are rugged and flexible for work but look good enough to wear in the office. You won't be disappointed. Looking for straight double front dungaree FR jeans? BEST ANSWER: We apologize, but we do not have a straight fit double-front dungaree FR jean at this time. Do these jeans provide flexibility throughout legs and waist? 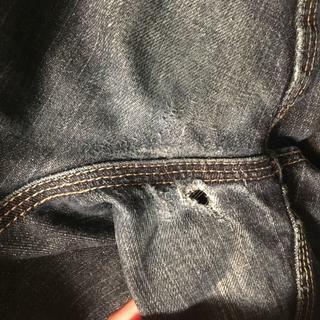 BEST ANSWER: These jeans are very thick and stiff compared to normal denim. After washing a few times they shrank and became even more stiff and I personally through they were uncomfortable and I gave them away and opted for a more loose fitting pant. If you need to bend and move a lot on a job, I would recommend looking for something else. The best jeans I have found for a working person. Tough, look good, and allow movement. Why do you not make tall sizes like 34-38 jeans? They are OK, but if you're looking for lighter I would use flame- resistant canvas cargo pants or flame-resistant relaxed fit Jean/straight leg. I don't think any FR jeans are good above 85 degrees. Carhartt sizing has changed over the years; typically run small/tight. Why do you not correct this? BEST ANSWER: We're sorry to hear you have experienced inconsistent sizing. Your comments will be shared with Quality Control. Please contact Customer Service at 1 800 833 3118 if you are having concerns with specific garments. can you send information on care of FR paints, i.e. washing drying requirements? You can find our Product Care information by clicking on the link below.